Marine House B&B is spotlessly clean and uncluttered, and decorated in an understated, minimalist style, in keeping with the Bauhaus / Art Deco-style building that it sits comfortably within. Please see the accommodation pages for specific information about the facilities in your room of choice. Marine House B&B accommodation is accessed via the door on the left hand side of the building as you look at it. All rooms are located on the first floor of the building; above the very popular, independently-run cafe and restaurant on the ground floor. PLEASE NOTE THAT THIS WILL BE CLOSED, OTHER THAN FOR B&B GUESTS BREAKFASTS, FROM MONDAY 12TH NOVEMBER 2018 UNTIL THURSDAY 17TH JANUARY 2019. We also have an amazing Roof Terrace which offers spectacular panoramic sea and Island views. 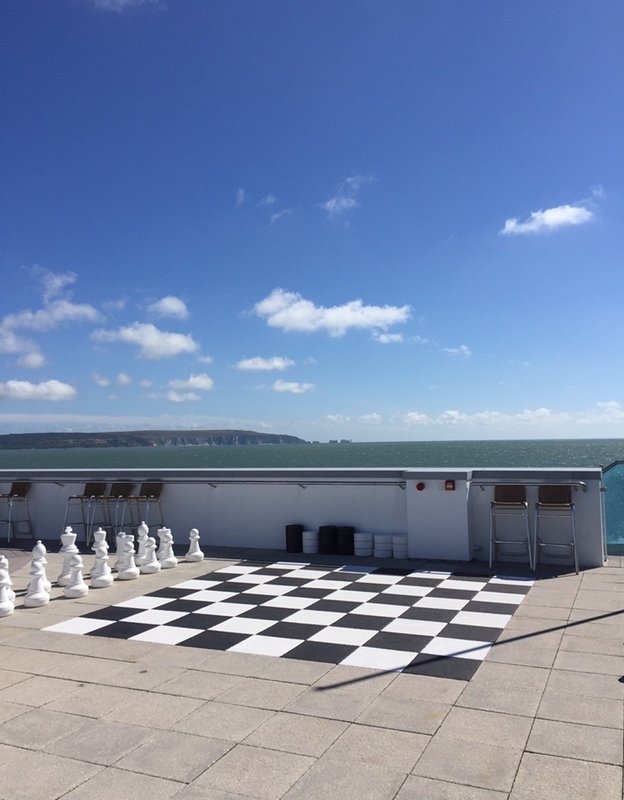 * New for 2018, is a large chess and draughts board that visitors are welcome to use while enjoying the Roof Terrace. 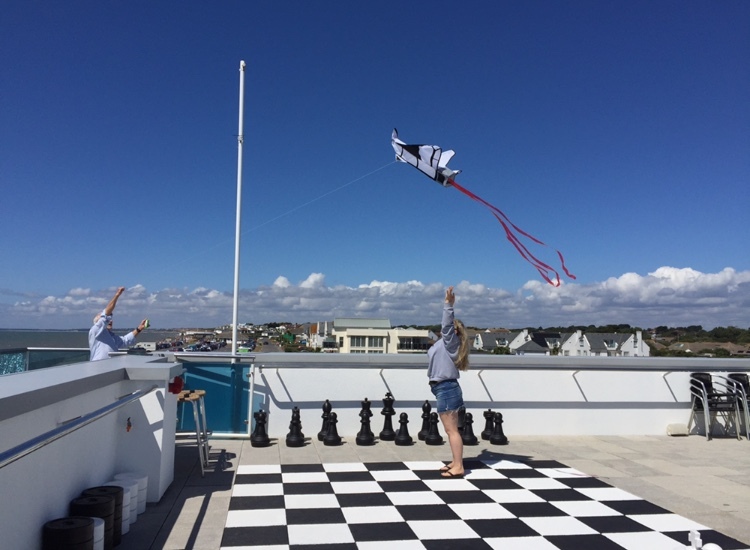 (Photos below courtesy of Marine House B&B guest Linda Minoli). *Please note that access to to the Roof Terrace may be restricted if in use for a private function and is available at the discretion of the owner/manager. Please enquire for more details.